What is in OUR bags? 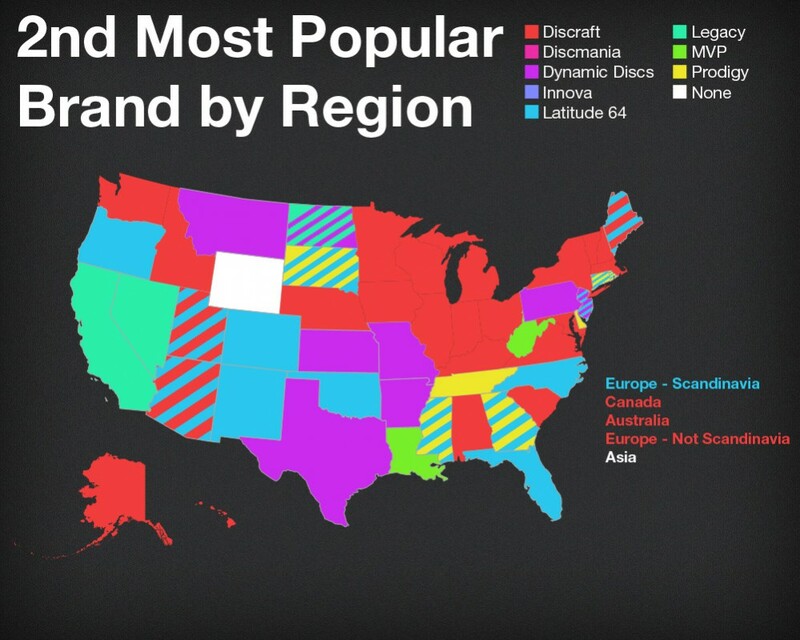 In the past few blog posts concerning the State of Disc Golf Survey, we have established that Innova is the most popular manufacturer in the disc golf world. 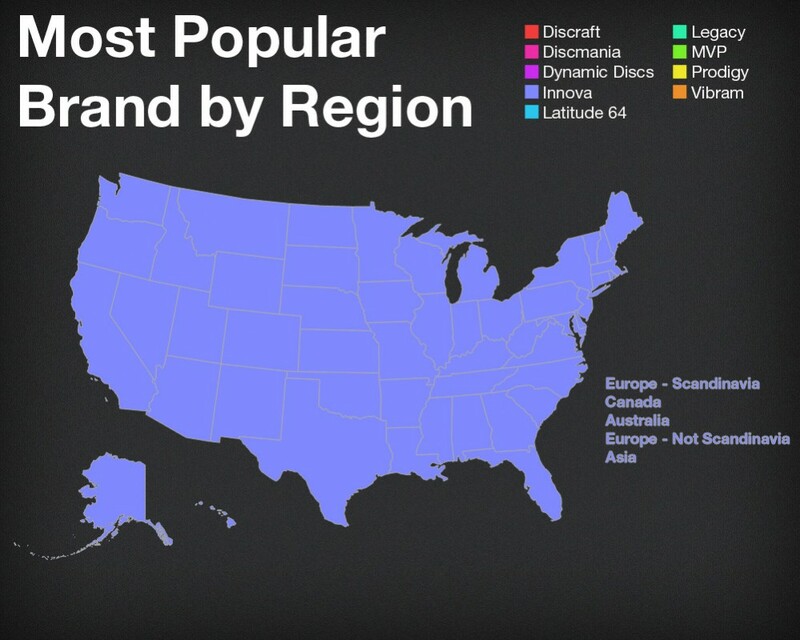 It was chosen as the favorite brand in every demographic. 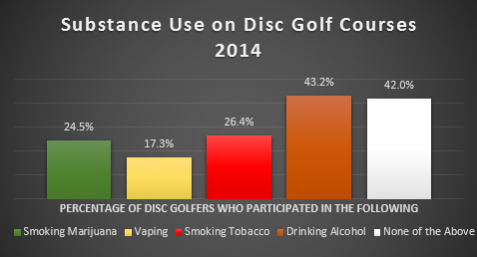 However, even though Innova led all other manufacturers in popularity, according to our survey, less than 4% of us throw exclusively Innova. 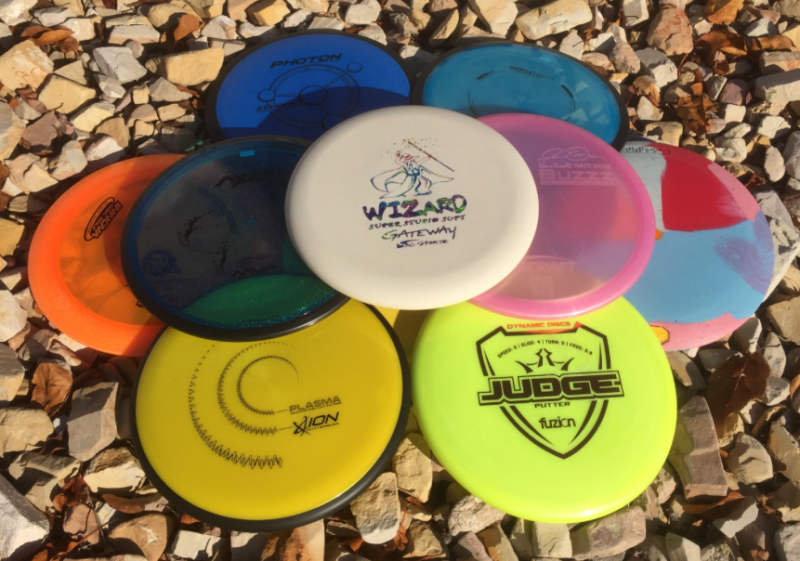 As we all know from interacting with other disc golfers, even though we may favor one brand, most of use throw discs from a variety of manufacturers. This blog will explore the variety of brands we throw and give us a good snapshot of what is in our bags. First let’s look at the popularity of the brands that are in our bags. 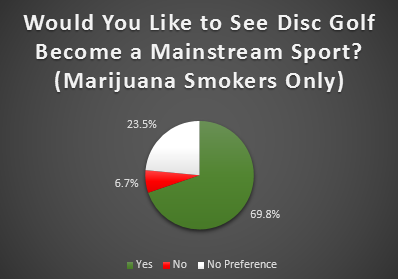 The survey didn’t ask how many discs we had of each brand ­— that would have been too time consuming. It simply asked which brands could be found in our bags. Not surprisingly, the brand that most of us throw is Innova, with 87% of us keeping at least one of their discs in our bag. 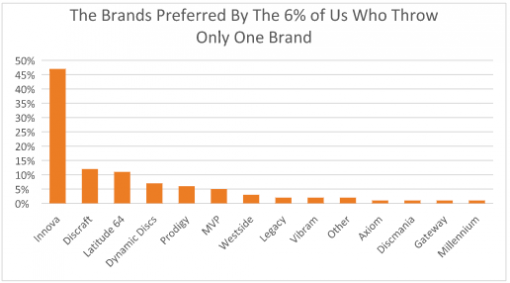 The next most popular brand is Discraft at 69%. 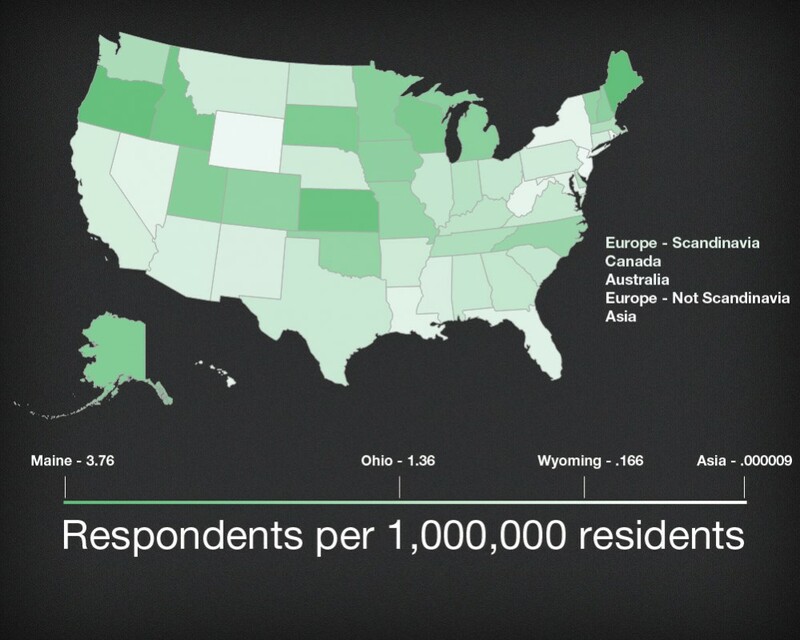 Latitude 64 has 42% of respondents throwing their brand. 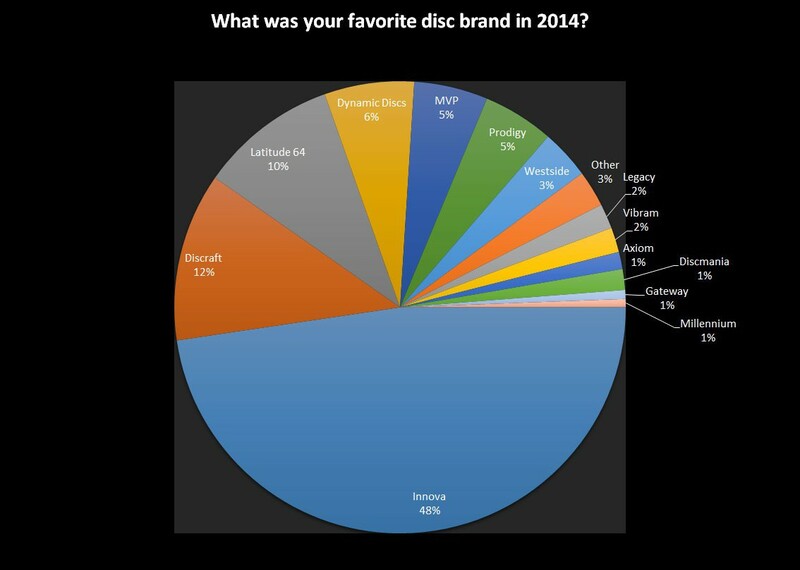 Dynamic Discs is the fourth most popular disc in our bags at 35%. Rounding out the top five was Prodigy at 28%. 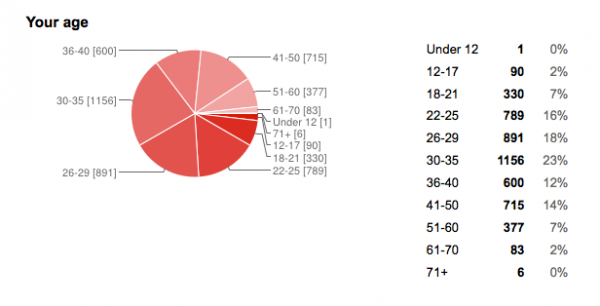 Westside, Gateway, and MVP were just a couple of percentage points behind Prodigy, sitting at 26%, 24%, and 23% respectively. 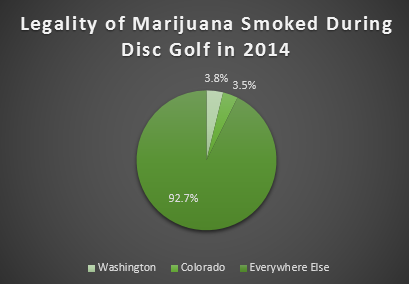 Although we can say that Innova was the clear winner with this survey question, it is important to point out the significance of the Trilogy brands (Westside, Latitude 64, and Dynamic Discs) taken as a single entity. Although these three companies are separate, they work together to avoid duplicating efforts, such as manufacturing, distribution, and sometimes disc design. 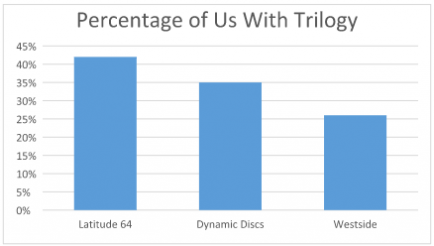 In our survey we asked about the “Trilogy” brands (Latitude 64, Dynamic Discs, and Westside) individually. These are three separate companies, from three different countries, who work together to share some of the manufacturing and distribution workload. Although separate, they market themselves as members of Trilogy. 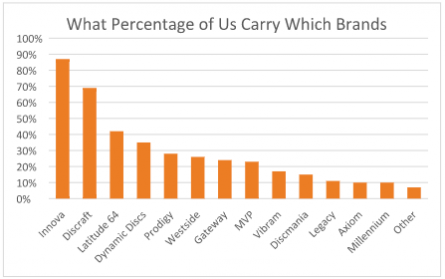 Taken as a single entity, 58% of us have at least one of the brands in our bags. A significant number of us, 15%, have all three Trilogy brands in our bags. 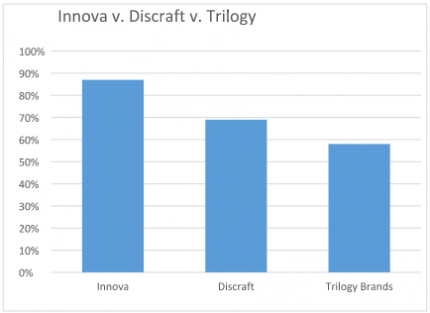 If disc golf sales are any indication of Trilogy’s popularity, we have seen their disc orders increase in the last two years so much that they rival Innova’s. Yes, that is counting the three companies as one. It will be interesting to see if the trend continues in the coming years. It is certainly important to consider everyone’s favorite brand as we explore the current state of disc golf. If we favor one brand over another we are more likely to buy and follow that brand to the exclusion of other brands. However, taking a peek inside the bags of thousands of disc golfers can tell a slightly different story than just asking which manufacturer we prefer. 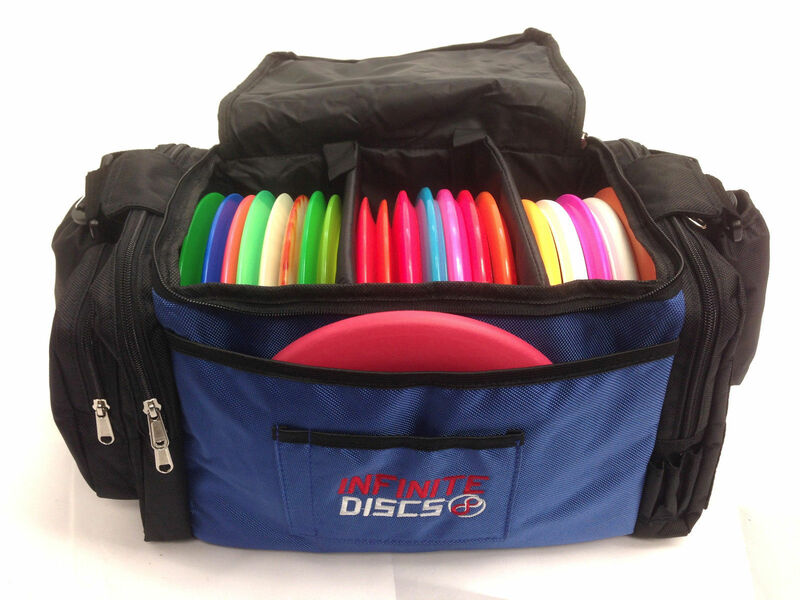 Yes, Innova is still the king of the bag. 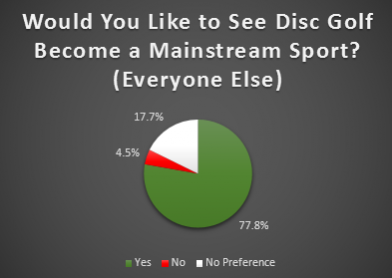 But, with the knowledge that few of us are dogmatic about brands, other disc manufacturers can take solace (pardon the pun) in the knowledge that many of their discs are nestled comfortably alongside the undisputed champ. The question of how much competition in such a relatively small sport is too much may be a subject for another blog. 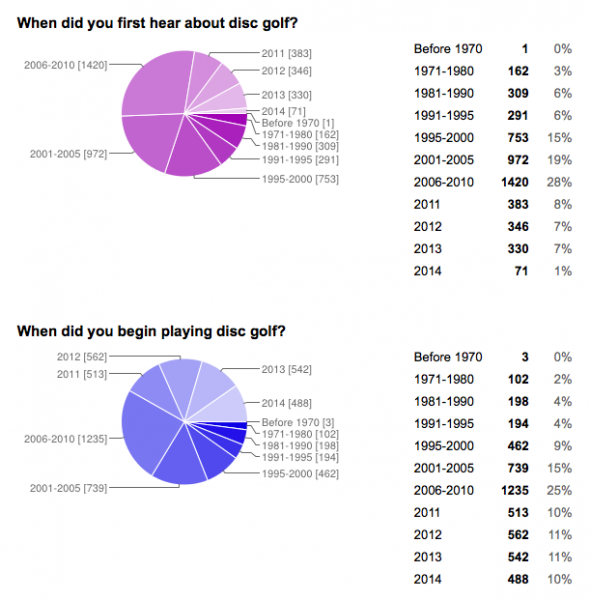 For now, it appears that the competition is good for us as disc golfers. 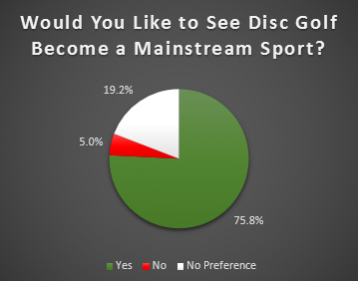 Let the manufacturers develop new molds or materials as they fight for their share in the disc golf market. Meanwhile, let’s go huck!